Should Data Centers Attempt to Achieve a Single Pane of Glass for DCIM? Data centers run a lot of software, applications, and more in order to perform all of the necessary tasks a data center completes. 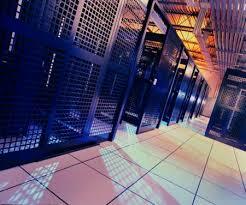 For a data center to run properly there is not just one program to get everything done, there are many. And, over time, more and more are added as technology and data center priorities change. Data center infrastructure management, or DCIM, is a top priority for data center managers because without access to and analysis of the most current data regarding data center infrastructure, programs and applications, devastating problems can and will arise. A data center manager that is not well informed may not know rack density maximums are and may not realize they are going to exceed them until it is too late. What happens when it is too late – power outages and downtime. Downtime can be devastating for any size business so it must be avoided at all costs. Due to the urgency and importance of effective DCIM, many data centers and managers are on a quest to get their DCIM on a “single pane of glass.” If they can see everything they need to see on a single pane of glass then they do not need to change applications or go rooting around for various data, it is all in one easy to access place. But, can it really be achieved? Can everything a data center manager needs to know be located on a single pane or is this a fruitless quest? A single pane of glass for DCIM can be achieved but, most likely, application consolidation may need to take place. Consolidation is a cost-effective, efficient and effective way to achieve a single pane of glass approach. There are service providers who can consolidate applications and achieve a unified framework, and thus, unified view of applications. A single pane of glass may be able to fit everything that a data center manager needs to monitor operations but can they maintain and optimize their data center from a single pane? If not, how effective is it really? By hiring a service provider experienced in consolidation and optimization you can work closely with them for a smooth transition that does just lead to more headaches, confusion and miscommunication. If the approach is achieved effectively, all of the software tools can utilize data to offer the most current information about the function of a data center but in the attempt to make the transition some data centers realize that the compilation of so much data into an effective database for analysis often leads to errors. While a single pane of glass is possible it may be difficult to achieve but with the help of an experienced professional, time and patience your data center manager can get the view they hope to achieve to improve DCIM. This entry was posted in Data Center Infrastructure Management, data center maintenance, DCIM and tagged data center design, data center maintenance. Bookmark the permalink.